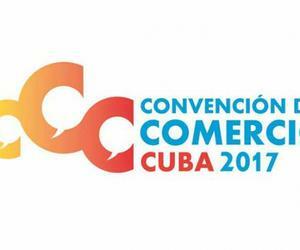 The Minister of Domestic Trade, Mary Blanca Ortega Barredo said on Monday in Havana that one of the main reasons the island is hosting the First Trade Convention is due to the need to implement public policies to promote development in the country and well-being to its citizens. This convention, said Ortega during the inauguration, will strengthen the role of the universities, research centers and business system in updating knowledge of executives and specialists of the sector. The Minister stressed that her institution is in charge of proposing, heading and controlling the State and Government policies with the domestic wholesale trade, the sale of retail merchandise, services, personnel, technicians, commercial and domestic use. She added the issue of logistics for warehouses, domestic lodging, consumer protection as well as promoting a market study to satisfy the demands and needs of the population and contribute to the internal financial flow. Referring to the priorities of the sector, Ortega Barredo mentioned among others, the restructuring of wholesale and retail trade in tone with the possible scenario that the economy will have to confront. She also added improving the supply system in the country with major participation of the national producers, the search of markets that can respond to all of the actors of the economy and the gradual introduction, where necessary, of non-state management. The Ministry of Domestic Trade will pay special attention to the improvement of prioritized programs directed to segments of the population with specific vulnerabilities.